Some of the biggest social media companies have told Sky News they are working on ways to give users more control over how much time they spend on their platforms. 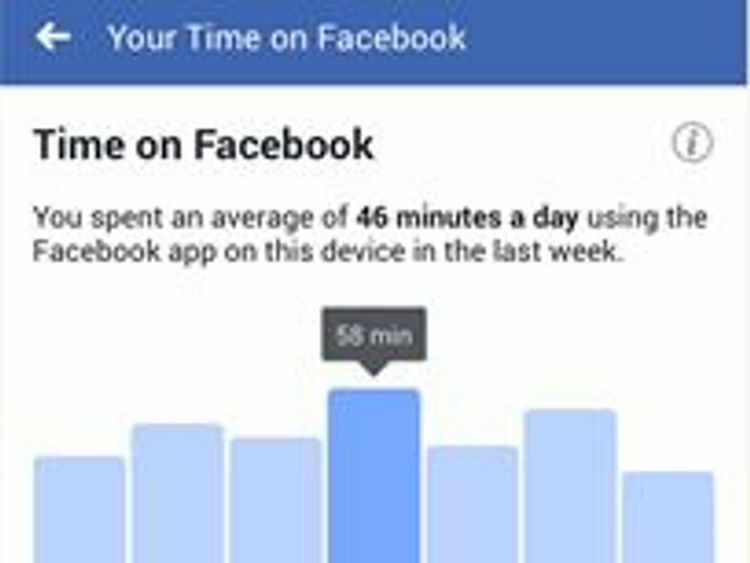 Facebook, Instagram and Snapchat are all in the process of rolling out new features that allow users to monitor and restrict the time they spend on the apps. It comes as tens of thousands of people are taking part in a public health campaign to quit social media for September with some admitting it's as hard as quitting smoking or drinking. :: I'm 71 - quitting social media makes me feel so cut offThe Royal Society For Public Health (RSPH) is leading the Scroll Free September campaign, challenging people to pause their use of the big five platforms: Facebook, Instagram, Snapchat, Twitter and YouTube.The charity points to growing evidence of the negative impacts of social media on levels of anxiety, depression, cyberbullying, lack of sleep and low self-esteem. Consultant Psychiatrist Dr Richard Graham treats people with addictions linked to technology. He says research is pointing to social media affecting the hormonal balance of the brain. "We think social media affects dopamine levels through the different rewards they offer," he said. "In the forms of likes, or increased followers or retweets, or whatever platform it is, it gives you a little bit of a lift in your mood. "What's key to all addiction is some sort of mood modification where you might get a buzz and then of course you want more. "App designer Lizzie Ayton from Yellowball studios says it's something that social media networks have harnessed and perfected over years. "The human eye loves colour, particularly red as it's warm and more urgent. That's why all social media app notifications are red," she said.She also pointed to the design link in things like the pull down action to refresh a social media feed. "It's like a slot machine, it keeps you guessing about what's to come as you hope to get another reward or prize." The success of some of these techniques has made the big social networks billions of dollars and turned them into some of the most powerful companies in the world.However, many of them are now backtracking on their progress seemingly in response to public concerns about addiction and overuse. 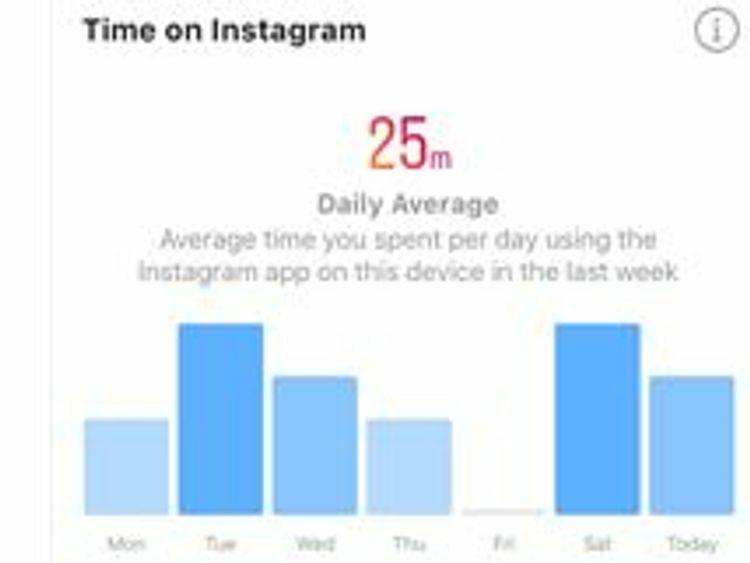 Facebook and Instagram are rolling out tools that allow users to monitor app usage, set time limits and reminders to 'take a break'.Instagram is also adding a 'You're all caught up' notification when users reach the bottom of the image feed. YouTube has also added similar settings to its app for many users.Its changes follow similar moves by Apple and Google. Screen time dashboards and the ability to set a timer for when your phone will go monochrome are being rolled out in the latest operating systems this autumn.None of the five social networks being abstained from for September agreed to an interview, but three gave Sky News details of their new features along with statements. Instagram said: "People should have fun using our app, but not at the expense of their wellbeing. We want our community to understand the choices available to make their experience on Instagram as meaningful as possible. "That's why we're rolling out a new set of controls, designed to help people manage the time they spend on our app. "Facebook, which is part of the same company also pointed to its forthcoming features saying: "We recently rolled out new features so people can see how long they spend on our platform to help them be intentional about the time they spend online. 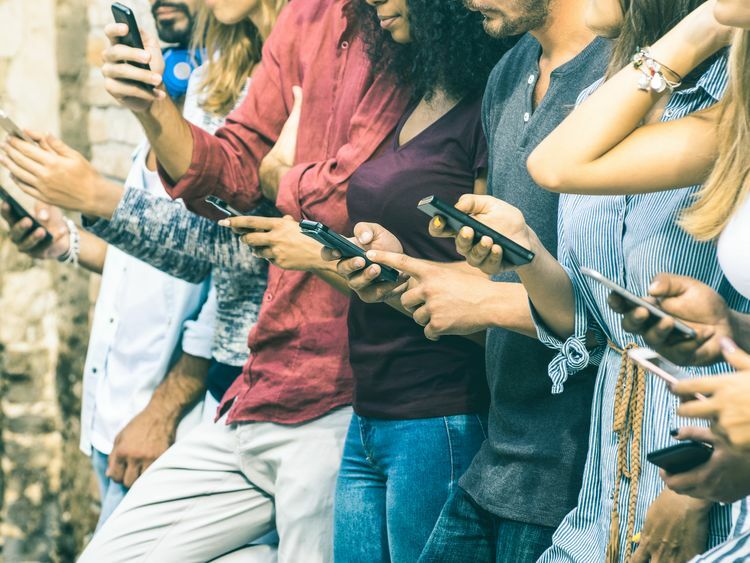 "We want to be part of the conversation about the impact that technology has on people's lives and welcome campaigns like Scroll Free September which raise awareness about this important issue. "Snapchat, which doesn't see itself as a social media network at all, said: "Snapchat has been designed without the public vanity metrics, like comments, likes or shares found on other platforms. "Snap does not employ design techniques to encourage compulsive or addictive behaviour. "The company added that it's reduced the prominence of its controversial Snapstreaks tool by 30% in recent app updates. The feature encourages friends to talk every day or they lose their streak and has faced criticism for the pressure it puts on users. :: On Sky News throughout September we'll be following a group of six people of all ages to see how they get on in their quest to go full 'Cold Turkey'. Through video diaries from our volunteers and expert analysis and industry interviews, we'll be exploring the positives and negatives of social media.